I just have one question for Chris Paul: How did you do it? How did you convince Donald Sterling to pay Doc Rivers $7 million per year? You must have slipped some roofies in his drinks at dinner the other night. Maybe you called Charlie Sheen and he supplied you with some of his cheap hookers for the night to show Donald a good time which softened him up? Well, whatever it was, it worked. 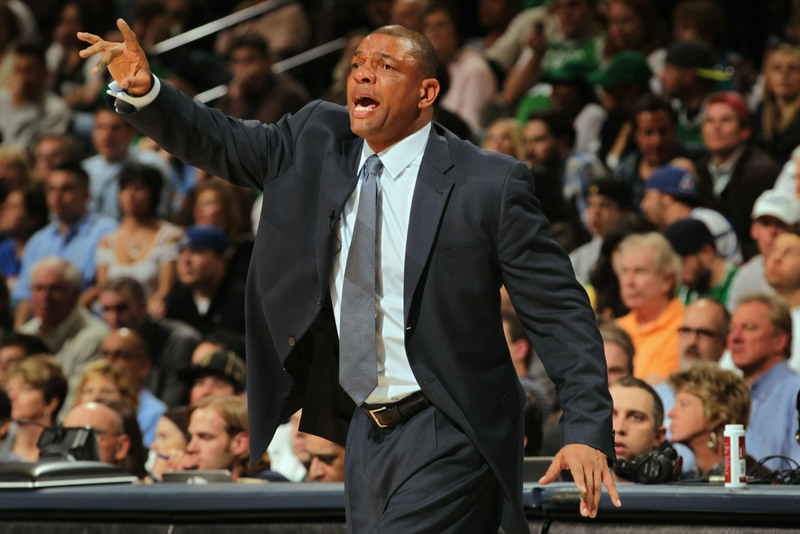 The Clippers have agreed to a deal in principle with the Celtics for Doc Rivers to become their next head coach. Rivers will be paid $21 million over the next 3 years. The Clippers will send the Celtics a first round pick in the 2015 draft as compensation for Rivers. The deal still needs to be approved by the NBA, but that isn’t expected to be an issue. However, acquiring Kevin Garnett and Paul Pierce could prove to be another challenge for the Clippers, as the league will likely frown upon adding players in a separate deal. The NBA has a policy against making deals that are contingent upon one another, and David Stern has shown he will institute his ridiculous rules whenever he damn well pleases. This saga has dragged on for over a week now, with a great deal of posturing back and forth. The Clippers tried to put pressure on the Celtics by leaking that they had begun to discuss the financial parameters of a contract with Byron Scott. The Celtics countered by calling a press conference for Monday announcing that Doc Rivers was staying in Boston. The bottom line however, is that Chris Paul had more leverage than anyone in this deal. If the Clippers had any hope of keeping Paul, they had to get this deal done, and Paul urged Donald Sterling to make this happen. One always has to wonder how Sterling will screw things up, but this time, it was Paul who saved the day. This entry was posted in Clippers on June 24, 2013 by omzzzzz.